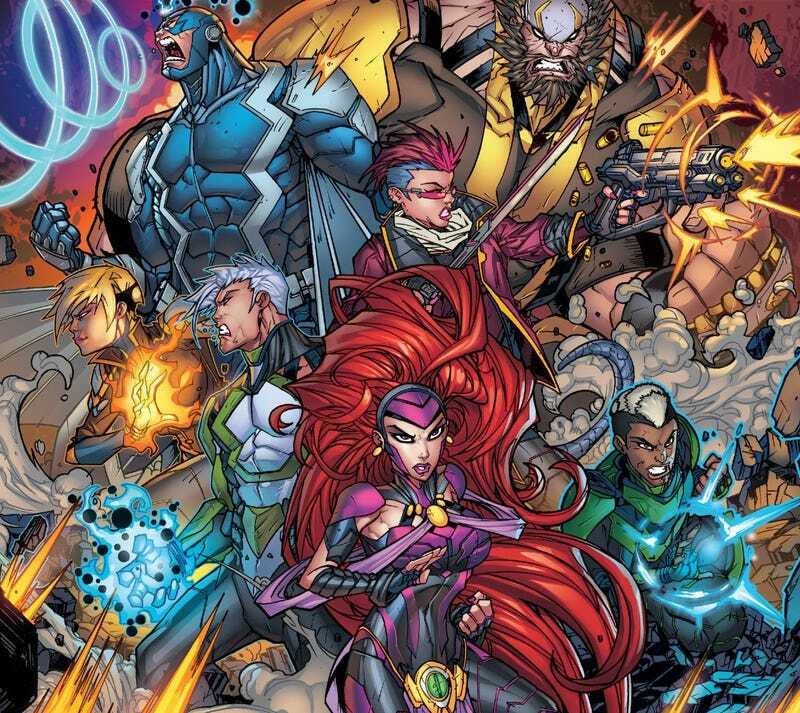 It’s been no big secret that Marvel has been trying to push forward the Inhumans as a big property in their comics. Between the Inhumanity event a few years ago and the big Inhumans vs X-Men crossover that just ended, Marvel has tried to make the Inhumans on par with the Avengers and the X-Men. It...hasn’t quite worked out that way. According to Comichron, in February 2017, Uncanny Inhumans #19 came in at only 19,341 orders. This was way down from the previous year and pretty much cancellation numbers. The book itself had had a good run by Charles Soule, but it had lost a lot of what made the Inhumans, well, Inhuman. By living in the center of New York City and having so many new members, the Inhumans seemed less strange and weird than they had before. It’s no wonder that many fans thought Marvel was trying to make them into X-Men substitutes. In the wake of Inhumans vs X-Men, however, the book is being relaunched, this time as Royals by Al Ewing and Jonboy Meyers. And let me tell you: if you have ever wanted to read an Inhumans book, start with this one. Ewing makes the incredibly smart decision to isolate his main cast by sending them into space on epic journey to figure out their origins. But before that happens, in the beginning, Ewing manages to make the entire story mythic by showing us...well...the future.